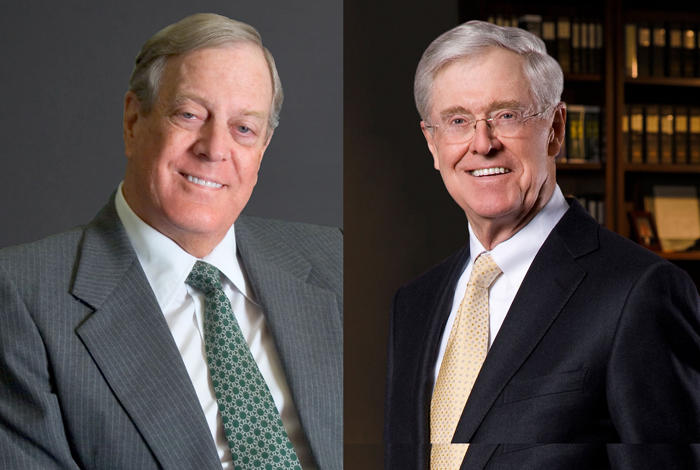 Over the last few says there has been a lot of speculation about what GOP candidate for president the billionaire, libertarian brothers Charles and David Koch might favor for 2016. Well, now they’ve spoken out and it appears that they like five of the known candidates. Koch, his brother David and their team have identified five candidates who have the right message and “a good chance of getting elected,” he told USA TODAY in an exclusive interview at Koch Industries’ headquarters. They are Wisconsin Gov. Scott Walker, former Florida governor Jeb Bush and Sens. Ted Cruz of Texas, Rand Paul of Kentucky and Marco Rubio of Florida. “Those are the ones we have talked to the most and who seem to be the possible leaders,” he said. So, there you have it, America.